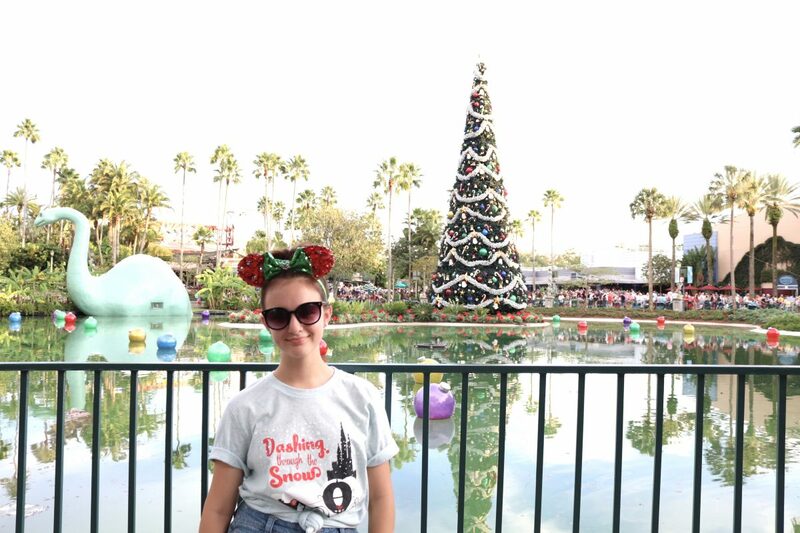 Disney fans love their fun photo spots. We’ve written about the Walls of Disney twice already because it’s such a popular topic amongst our readers. 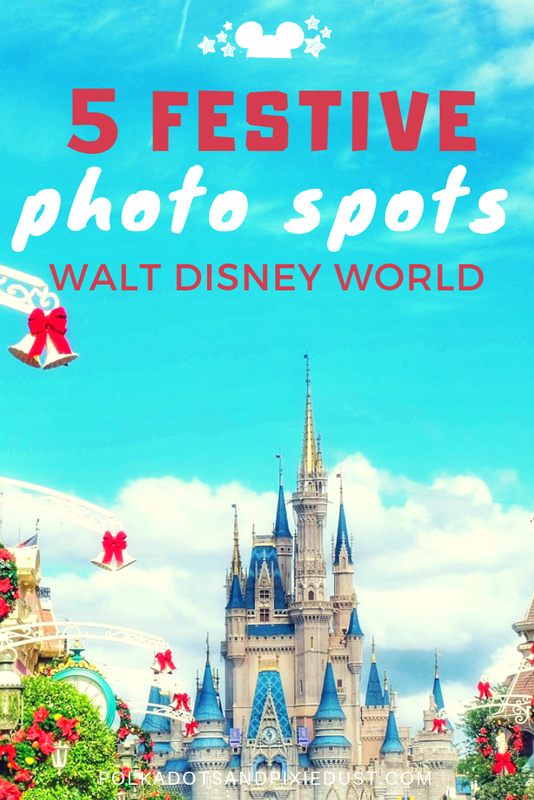 So if you’re looking for some fun, festive photo opps during the holiday season at Walt Disney World, you’ll be happy to know that there is no shortage of them! Grab your camera or even just your phone, and get ready to strike a pose worthy of your next Christmas card! Or maybe just your next Instagram post, but either way have fun with it and be sure to smile. Or not. Whatever works for you 🙂 Here are 5 of our favorite photos spots for this holiday season! So really, this should say “anywhere at Hollywood Studios” because have you seen Hollywood Studios at Christmas? Hollywood Studios is our favorite decorated Park during the holidays with its retro look, and musical stylings to match, bringing us right back to being kids at our Grandma’s house at Christmas. Echo Lake is the main attraction here, with Gertie the dinosaur all dressed up, a huge tree in the middle and oversized ornaments in the water. There are lots of places to get a great view all around the lake so there’s usually room for everyone who is also trying to snag their next photo. Want a little less crowded photo spot at Hollywood Studios? Try the gas pumps near the front. 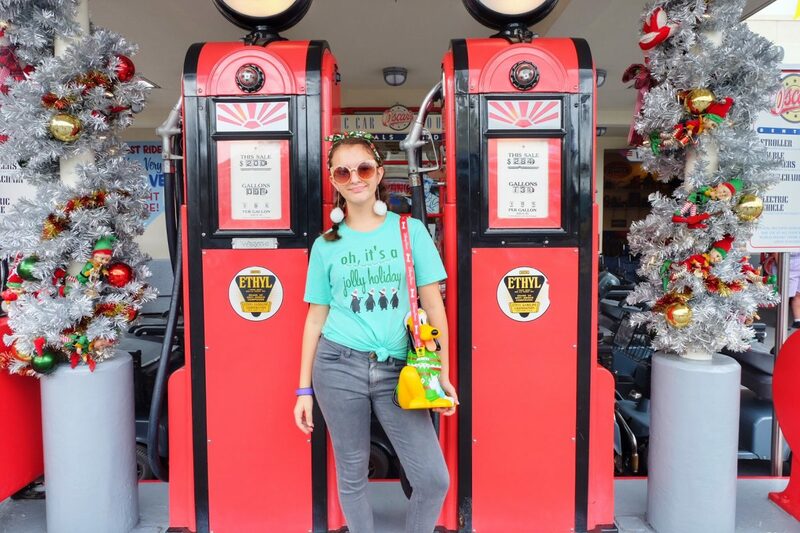 Decked out in festive flair, the vintage look of the gas pumps matches perfectly with the décor. We feel this area is a bit overlooked because it is technically a Photopass Character meet spot. However, there are many times of the day when it’s not being used for anything and yes, you are allowed to go back there. Located on the left hand side (when you’re facing the castle) of Magic Kingdom near the entrance, this little hidden gem has great photo opps and the lighting is usually pretty perfect as well. Here you’ll find life sized toy soldiers, an oversized Mickey wreath and of course, huge Candy Canes. We can’t forget about this classic spot. Located right at the entrance of Magic Kingdom, you can’t miss it. The front of the trees usually has a really long line, either for a character meet or just for the tree itself. 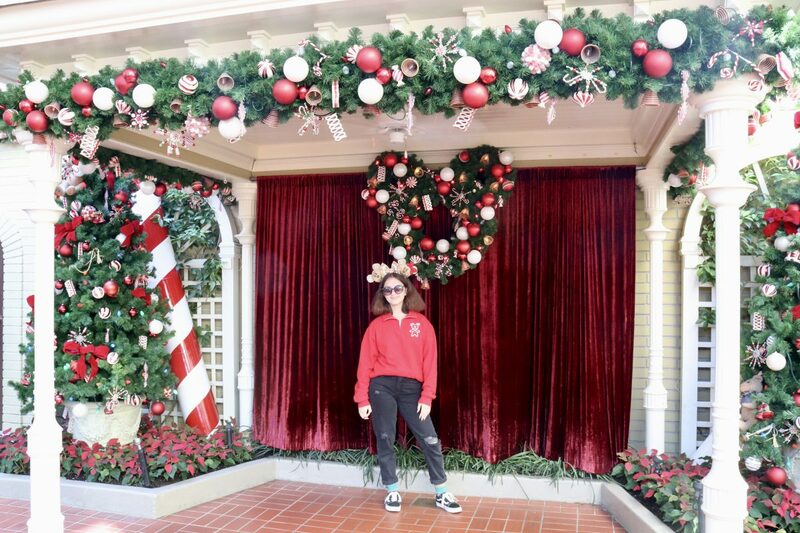 If you don’t need that exact perspective in your photo, you can actually go around to the other side of the tree and have your picture taken in front of the huge presents. We personally like this spot better because, well , hello no lines and the lighting is usually a bit better there. You can also try to get a full shot of the Christmas tree from the top of the Train Station, but the lighting can be a bit tricky at times. It’s a gorgeous view though! 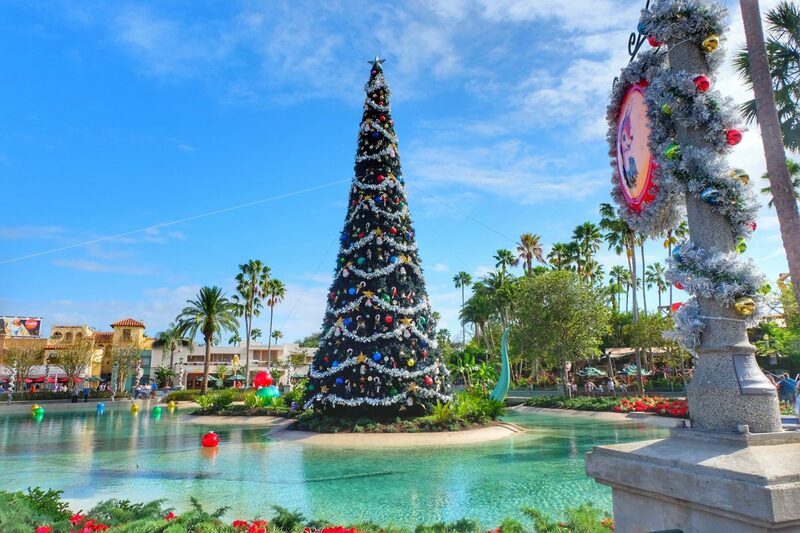 By now you probably know our love for the Christmas Tree Trail at Disney Springs and for good reason. It’s free, doesn’t require a Park ticket and doesn’t get insanely crowded like some other spots seem to. And its a great place to take holiday pictures. 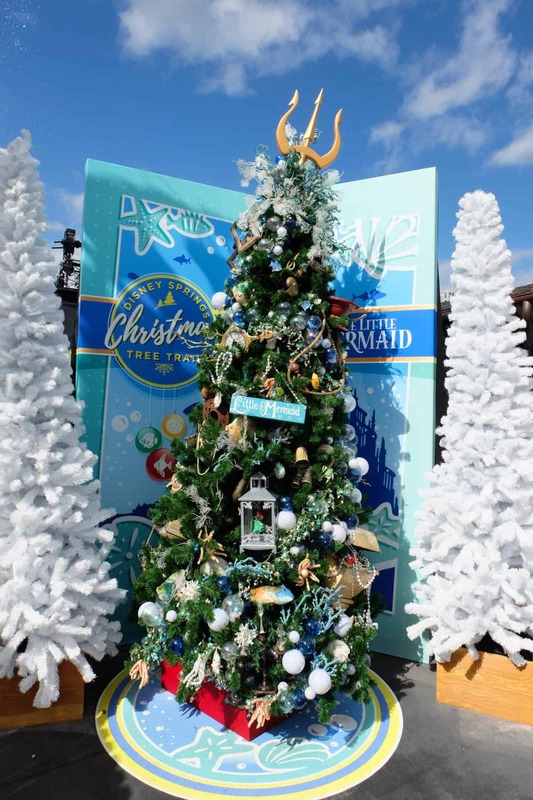 Whether you’re looking for that perfectly decorated Christmas tree to pose with or one of the fun signs along the way, there are lots of options to choose from, giving you the opportunity for a lot of unique options. 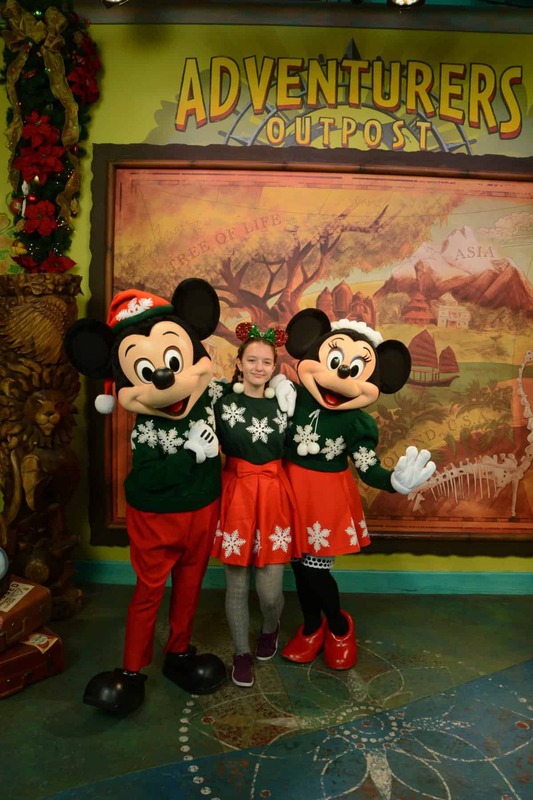 Last year we posted a DIY for Minnie’s Christmas outfit and this still remains one of our favorite character meets for Christmas at Walt Disney World. 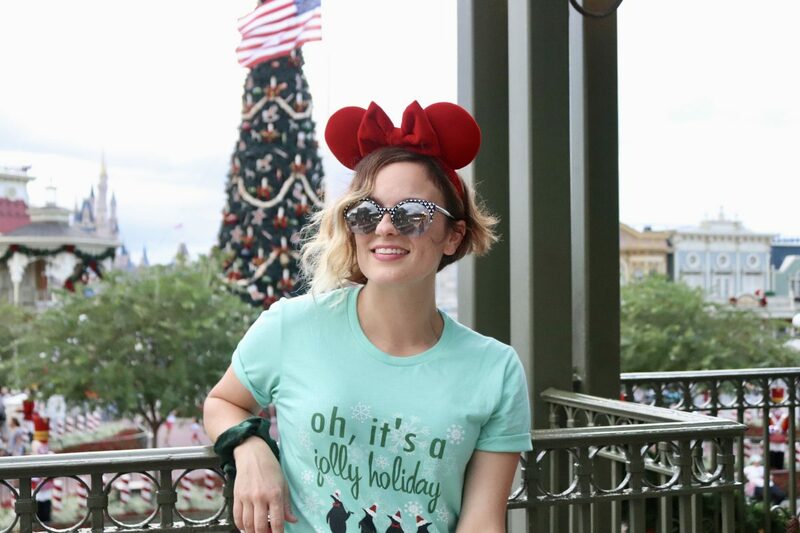 Not only are their outfits adorable, but you also don’t need a ticket to Mickey’s Very Merry Christmas Party or a dinner reservation to meet them all decked out. We do recommend a fast pass if you can snag one and if not, just get there early and you shouldn’t have to wait too long. *Keep in mind that Character meet spots can change periodically; always double check if you’re looking for a specific character! 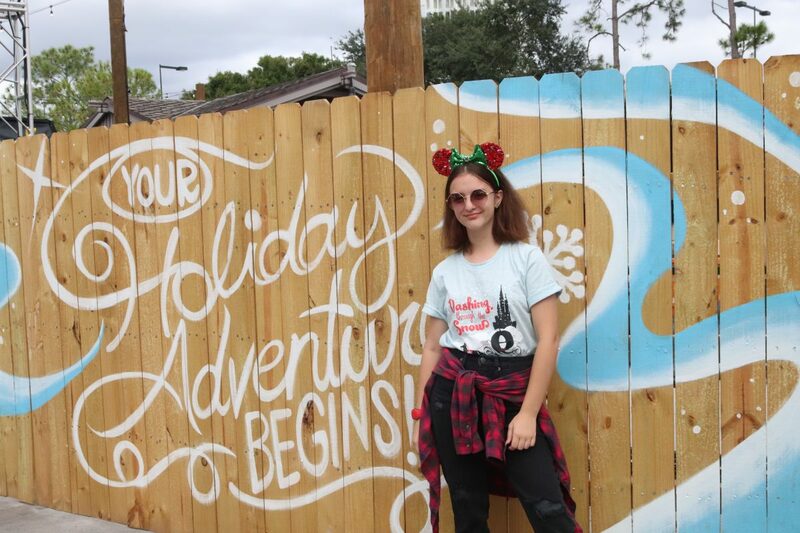 There are so many fun photo spots throughout Walt Disney World during the holidays! Do you have a favorite? Let us know, we’d love to check them out ourselves! 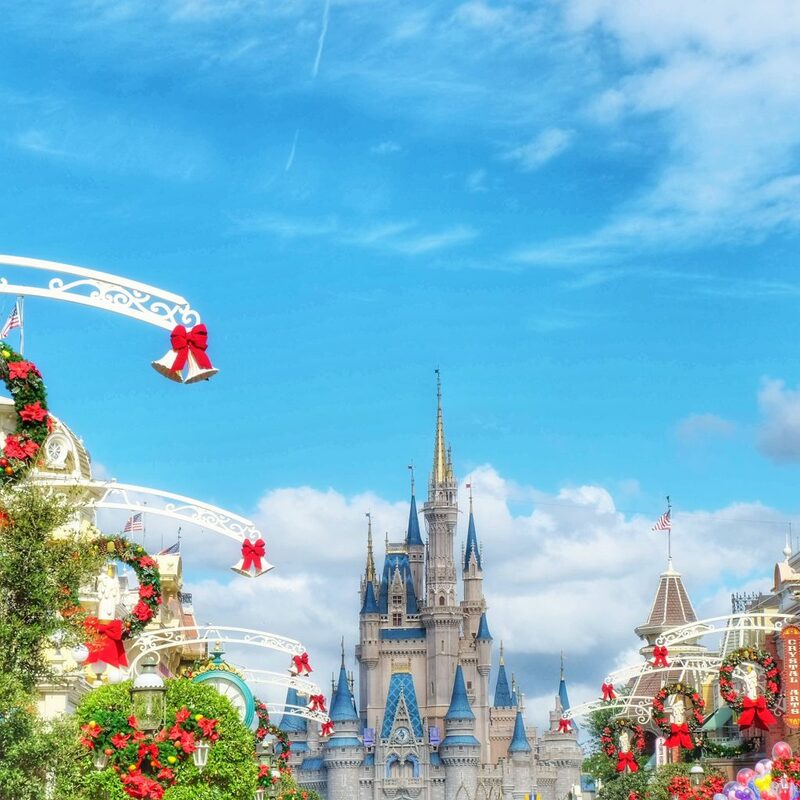 Walt Disney World During the Holiday Season: 5 Must Do’s!